Which magazine is that, Snoopy? Your link doesn't go anywhere. Theresa wrote: Which magazine is that, Snoopy? Your link doesn't go anywhere. EW has the exclusive...for now..
Ah, I wasn't sure if EW was the only magazine with the story. Thanks for fixing your link! Theresa wrote: Here are the pics from the EW link that Lbock posted. You don’t need to be the world’s greatest detective to deduce that this week’s Entertainment Weekly cover is a particularly star-studded affair. 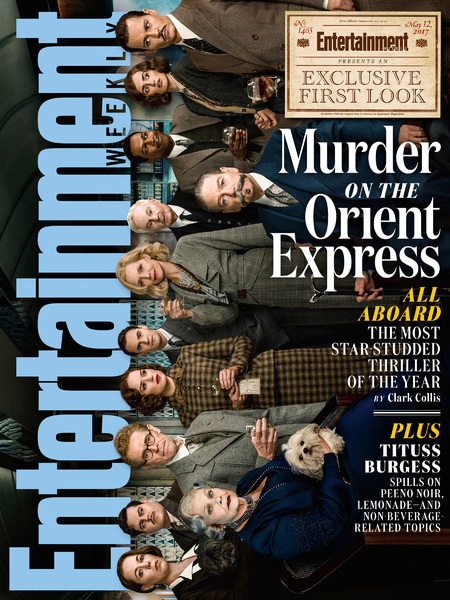 The cover image features no less than 12 cast members from Sir Kenneth Branagh’s new big screen version of the Agatha Christie murder-mystery Murder on the Orient Express, including Johnny Depp, Daisy Ridley, Michelle Pfeiffer, Josh Gad, Willem Dafoe, Dame Judi Dench, Leslie Odom Jr., and Branagh, who plays Christie’s famed sleuth Hercule Poirot. But now it’s time to put your little grey cells — as Poirot calls his brain — to work. 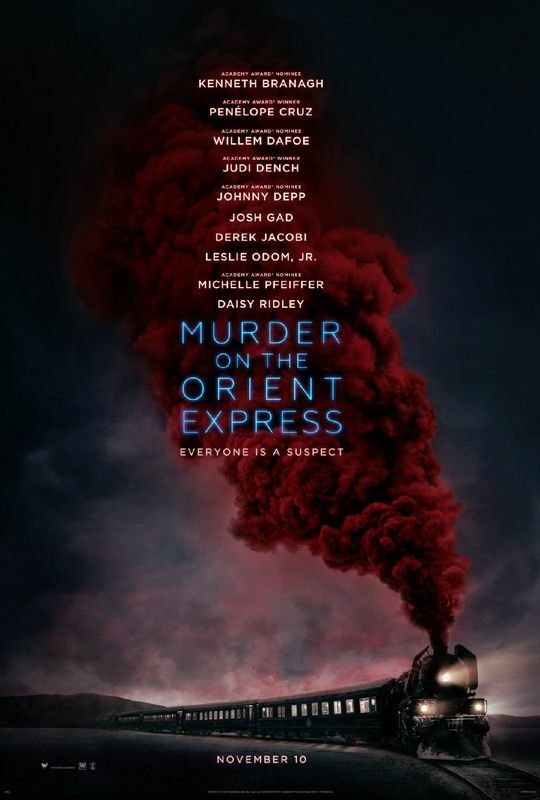 In the course of the Murder on the Orient Express marketing campaign, a number of clues will be featured in trailers, on posters, even during TV appearances by the movie’s talent. These small clues will implicate a new suspect in the murder investigation, leading to discoverable content about each character through the campaign. While the actual mystery will never be solved during the campaign, each clue will provide a secret window into the mysterious lives of our rich and intriguing characters. What has all this to do with Entertainment Weekly? Well, the very first of these clues is to be found on the cover of this week’s issue. Once you’ve located it, head over to CluesAreEverywhere.com, where you can find out further information about one of the characters in the film. Branagh is cagey when discussing just how closely the plot of his film resembles that of the source material. In the book, and every previous filmed version of it, the murder victim would be Depp's Mr. Ratchett, a rather odious American antiques dealer. But is he this time? "I would have to kill you if I told you quite how long Johnny Depp was in the the film," the director says. "What I would say is that Johnny Depp makes such a strong and powerful impression that you feel he's there for a significant part of the movie." 20th Century Fox has released the first poster for Murder on the Orient Express, the upcoming new feature film adaptation of Agatha Christie’s acclaimed mystery from director/star Kenneth Branagh. 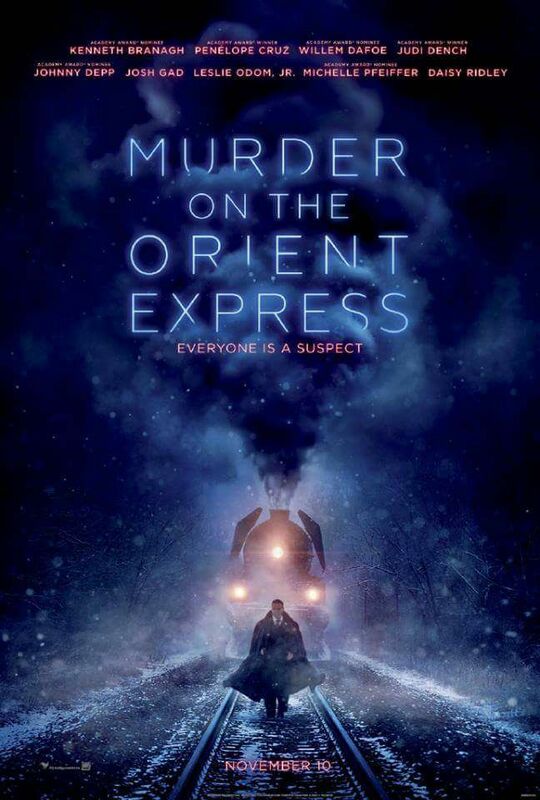 Check out the Murder on the Orient Express poster below and explore the film’s viral site CluesAreEverywhere.com. The trailer for the film is set to debut tomorrow. That's definitely a fierce photo. Going to be interesting to see how Branagh takes the story. The character Depp plays is not a very nice man, per the book and earlier versions, so maybe the 2017 movie keeps fairly close to Christie's story line. I'm really excited about this movie. Thoroughly enjoyed that article, meeps - thanks so much. I am sooooo looking forward to this film! !